Originally thought to be present only in the nose, olfactory receptors exist in many locations in the body, including in the skin, heart, lungs, kidneys, muscles, and sperm. They are involved in a variety of functions, from regulating blood pressure to enhancing muscle and skin regeneration. Melanopsin, a light-sensitive pigment not involved in vision, is expressed in many different blood vessels. 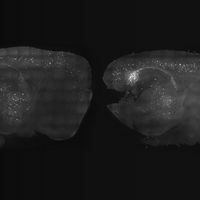 When exposed to blue wavelengths of light, the melanopsin and G protein–coupled receptor kinase 2 (GRK2) mediate the relaxation of the vessels. The combination of light and a GRK2 inhibitor resulted in a 75 percent to 100 percent relaxation of blood vessels in vitro. Taste receptors have been found all over the body, including the testes, sperm, airway, and gut. 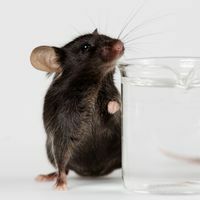 They have many different functions, including detecting nutrients in food, regulating the immune response to bacteria and parasites, and influencing mouse fertility. 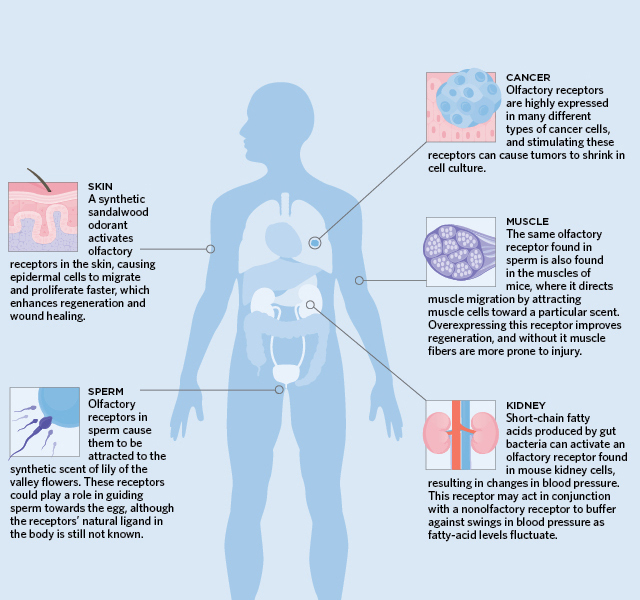 Tuft cells: Taste receptors are expressed in certain epithelial cells in the gut, called tuft cells, which in the mouse gut use taste signaling to detect parasites and stimulate the immune system in response. Ciliated cells (below): Bitter taste receptors are also expressed by upper respiratory cells containing hair-like protrusions called cilia. When these bitter receptors sense bacterial signaling molecules, the cells release nitric oxide that kills the bacteria. 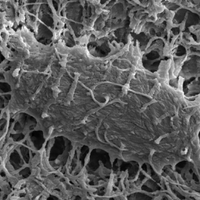 They also increase the speed with which the cilia beat to expel bacteria from the airway. 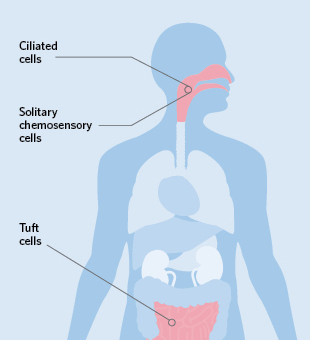 Solitary chemosensory cells (below): Solitary chemosensory cells (SCCs) in the upper respiratory tract express both bitter and sweet taste receptors. 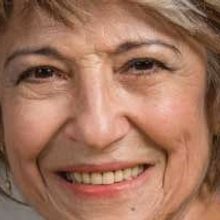 When bitter receptors in mice are activated by bacterial signaling molecules, they stimulate the secretion of antimicrobial peptides. Sweet receptors inhibit these bitter taste receptors unless glucose levels drop, which is a sign of increased bacterial growth.